I wanted to take this opportunity to provide you with an update on our company, the recent merger transaction and the company's business plan moving forward. In January of 2011, we notified shareholders of Superior Silver Mines, Inc., a publicly-traded company trading on the OTC Bulletin Board under the symbol "SSVM," that Clean Wind Energy Tower, Inc. (the "Company," "CWET") had completed what is commonly referred to as a "Reverse Merger" with their company with the surviving public entity being Clean Wind Energy Tower, Inc. In addition, "Clean Wind Energy, Inc." became a wholly-owned subsidiary of the Clean Wind Energy Tower, Inc. The business operations of Clean Wind Energy, Inc. will comprise the Company's principal business operations going forward. Clean Wind Energy, Inc.'s corporate headquarters are located at 1997 Annapolis Exchange Parkway Suite 300, Annapolis, Maryland 21401. Introducing Clean Wind Energy, Inc.
Clean Wind Energy, Inc. has assembled a world class team of experienced business professionals, engineers and scientists with access to the breakthrough energy research upon which this technology is founded and the proven ability to bring the idea to market. Clean Wind Energy, Inc. is designing and preparing to develop and construct large "Downdraft Towers" (the "Tower") that use benevolent, non-toxic natural elements to generate electricity and clean water economically by integrating and synthesizing numerous proven as well as emerging technologies. The Company has filed several patents that it believes will further enhance this potential revolutionary technology. In addition to constructing Downdraft Towers in the United States and abroad, the Company intends to establish partnerships at home and abroad to propagate these systems and meet increasing global demand for clean water and electricity. The Company also plans to partner with a crane manufacturer for its construction needs and is in discussions with several potential partners for its hydraulic systems and generator needs. Our engineering staff is located at our Engineering Office Facility located in Warrenton, Virginia. The engineering team is focused on the cultivation of innovative technological imperatives in addition to our already advanced wind energy structural designs and enhanced power generation methodologies. Part of their initial primary focus has been on the Company's intellectual property and patent filings. CWET has filed a number of patents relating to both the construction and operating techniques for the Tower. We believe these patent applications provide enormous benefits and advantages to our Dual Renewable Energy solution by creating an additional multiple to our power base during the variety of atmospheric fluctuations in temperature, humidity and wind direction over the course of a season. These applications are but the first of many that we will file, focused on our leadership and value proposition for producing clean renewable fuel resources. On March 7, 2011, the Company announced the filing with the United States Patent & Trademark Office "A Petition to Make Special Under Accelerated Examination Program," a patent application titled Efficient Energy Conversion Devices & Methods. The application covers specific aspects of deploying multiple turbines in a wind tunnel coupled to a novel hydraulic system capable of maintaining high efficiency hydraulic to electric conversion under a wide variance of wind speeds. The ultimate goal is to maximize the capture and utilization of all available wind energy in any given wind tunnel, as well as providing a consistency of power output during deviations in wind speed. On May 3, 2011, the Company announced the filing with the United States Patent & Trademark Office "A Petition to Make Special Under the Accelerated Examination Program," a patent application titled Atmospheric Energy Extraction Devices and Methods. The application covers the addition of specific external design components, physical structure and systems that both substantially enhances structural integrity of the Tower and captures wind directly striking the external vertical surfaces of the downdraft Tower from any direction, beyond those winds already induced into the internal tube of the Tower, and also enhances slow moving air to create downburst winds, substantially increasing total power generation of a single Tower unit. A further description of all our patent filings appears on our website www.cleanwindenergytower.com. The various external design and physical structural components work together to provide a Dual Renewable Energy Resource. The size of the Tower creates a tremendous sail area with the prevailing winds pressing against the Tower day and night. In order to stabilize the Tower, we designed large fins that structurally flow all the way to the ground. Those fins capture the prevailing wind and channel it down the side of the Tower into separate wind tunnels which drive turbines and make electricity. The fins take wind pressure loads off the Tower, making the Tower more structurally sound while at the same time capturing the renewable energy. That means we're making dual renewable energy from the exterior wind as well as the downdraft wind created inside the Tower. We are, right now, working on the first site for a Tower and have completed the preliminary engineering for that location. We are performing and evaluating additional engineering and atmospheric studies related to the site and are hopeful that the results will provide us a suitable location for our first Tower project. Our corporate website has been updated with a new Investor Relations ("IR") section to better serve our shareholders and potential investors. The IR section will provide updates and information on our stock price, press releases, SEC filings, media coverage, and events and presentations. Feel free to register to receive our newsletters and follow us on Twitter and Facebook. Our IR contact is Mr. Jody Janson and he may be reached by emailing ir@CWETower.com or by calling (855) 848-6937. In closing, I am very excited about the progress we have made in such a short period of time and would like to assure you that as an executive team, we are keenly focused on the development and execution of our Company's business plan. We invite you to watch for news regarding CWET's growth and the continued evolution of our Company. I would like to thank all of our shareholders for their support and commitment and look forward to updating you on our progress. Should anyone have any questions, please feel free to contact us anytime and we will be happy to speak with you. Clean Wind Energy Tower, Inc.
Clean Wind Energy, Inc., a wholly owned subsidiary of Clean Wind Energy Tower, Inc, is designing and preparing to develop, and construct large "Downdraft Towers" that use benevolent, non-toxic natural elements to generate electricity and clean water economically by integrating and synthesizing numerous proven as well as emerging technologies. In addition to constructing Downdraft Towers in the United States and abroad, the Company intends to establish partnerships at home and abroad to propagate these systems and meet increasing global demand for clean water and electricity. Clean Wind has assembled a team of experienced business professionals, engineers and scientists with access to the breakthrough energy research upon which this technology is founded and the proven ability to bring the idea to market. Clean Wind has filed several patents that the Company believes will further enhance this potentially revolutionary technology. Statements included in this release may constitute "forward-looking statements" within the meaning of Section 27A of the Securities Act of 1933, Section 21E of the Securities Exchange Act of 1934, and as that term is defined in the Private Litigation Reform Act of 1995. Such statements involve a number of risks and uncertainties such as competitive factors, technological development, market demand and the Company's ability to obtain new contracts and accurately estimate net revenues due to variability in size, scope and duration of projects, and internal issues in the sponsoring client. Further information on potential factors that could affect the Company's financial results, can be found in the Company's various filings with the Securities and Exchange Commission (SEC). FT. WORTH, TX � May 27, 2011 (Investorideas.com renewable energy/green newswire) - EVCARCO, Inc. (OTCBB:EVCA) (OTCQB:EVCA) announced today that Edouard Prous, Chief Technical Officer, and Dmitri Tisnoi, President and CEO, of VENTA Global, recently traveled to Guangzhou, China to meet with representatives from FOTON Motor Company, Global Win Vehicles, Ltd and several other manufacturers currently producing alternative fuel vehicles. The trip included a visit to several cities in order to see the latest developments in transportation products and to evaluate the quality and viability of their alternative fuel vehicles. Mack Sanders, CEO of EVCARCO, stated, "We are excited with the report Edouard and Dmitri have given regarding their trip. We see this as an opportunity to build on existing and develop new relationships with these manufacturers. We appreciate VENTA Global working with us to develop these projects. Our executives continue to do an excellent job representing our interest abroad." More information regarding FOTON please view: http://bit.ly/jR6F2e More information regarding Global Win Vehicles please view: http://global-win.cn/ For more information on EVCARCO, Inc., please view: www.evcarco.com. Shareholder inquiries should be directed to (972) 571-1624. This Press Release contains certain forward-looking statements that involve substantial risks and uncertainties, including, but not limited to, the results of ongoing clinical studies, economic conditions, product and technology development, production efficiencies, product demand, competitive products, competitive environment, successful testing and government regulatory issues. Additional risks are identified in the company's filings made with the Securities and Exchange Commission. Disclosure, Disclaimer/ EVCA is a paid advertising client on Investorideas.com and our renewable energy portals (500,000 144 shares). FT. WORTH, TX � May 26, 2011 (Investorideas.com renewable energy/green newswire) - EVCARCO, Inc. (OTCBB:EVCA) (OTCQB:EVCA) announced today that it has received its first Sirius Electric Truck. The all electric commercial truck provides EVCARCO with a product that the Company can deliver to commercial clients. EVCARCO's CEO, Mack Sanders, was invited to present the all electric truck to the Port San Antonio Authority, as a possible option for their commercial alternative fuel fleet. Mr. Sanders stated, "Our plan is to present the commercial truck to government agencies, municipalities, and fleet companies with a need for alternative fuel vehicles. As we move forward with new products, the relationships we are making today can be very beneficial tomorrow." For more information on EVCARCO, Inc., please view: www.evcarco.com. Shareholder inquiries should be directed to (972) 571-1624. CALGARY - March 24, 2011 (Investorideas.com Water Stocks Newswire) - Wescorp Energy Inc. (Wescorp) (OTCBB:WSCE.ob), a clean water technology company focused on implementing cost-effective solutions in several markets, including the oil and gas and marine industries, announced today that the second generation 10,000 barrel per day (bpd) H2Omaxx technology has successfully treated marine bilge water. The H2Omaxx achieved the International Maritime Organization approved Resolution MEPC 107(49) regulated maximum residual hydrocarbon clean water discharge of 15 parts per million (ppm) with ease. This discharge standard is adopted and enforced nationally by agencies such as the U.S. Coast Guard. "We are very impressed with the performance of the H2Omaxx in treating bilge water, which is a complex mix of hydrocarbons and other contaminants. The results of these real-world operations will be utilized in support of Allied Holdings and Wescorp Marine's development of the H2Omaxx for international marine certification and shipboard use through the Wescorp Marine joint venture," stated Tim Gale, President and CEO of Allied Holdings and President of Wescorp Marine. "This further supports our assessment that the H2Omaxx technology may be one of the best oil-water separation technologies available for shipboard use." Bilge water was brought by barge from a ship to the H2Omaxx, where the water was treated and the hydrocarbons were separated and contained. Bilge water from ships contains a wide range of potential hydrocarbons and contaminants, including lube oil, fuel oil, machinery leakage, solvents, detergents, iron oxide particles, biological, equipment and engine-room wash water, firefighting foam, water treatment chemicals, grey water and sanitary system overflows, and seawater. "Wescorp's objective is to demonstrate the capability of the H2Omaxx to meet the needs of an additional world-wide hydrocarbon based market, the marine industry," stated Robert G. Power, Executive Chairman of Wescorp's Board. "Now, we will move forward with Allied Holdings and Wescorp Marine to the next stage of development, technology adaptation and independent testing of H2Omaxx units for sea-going vessels." Third party sampling of the bilge water before and after treatment, and reporting of the analytical results, was conducted by a national environmental consulting firm, hired by the bilge water service operator. Wescorp (www.wescorpenergy.com) is a clean water technology company focused on implementing its superior, low-cost, water purification solutions for the oil and gas production industry and for marine remediation projects across North America. Wescorp's innovative clean technology is designed to meet increasing government regulations needs of our industry and society in general. Allied (www.shipequip.com/aboutus.html) a closely held corporation since 1983 has paid careful attention to the requirements of the U.S. marine community from the standpoint of meeting specific needs with the U.S. Navy and U.S. Coast Guard, and ensuring that the products supplied comply with applicable standards and regulations. Allied's clients are manufacturers that seek to enter or expand their presence in the US public and private marine industry. Allied provides full market representation, product distribution, factory authorized repair facilities, and application engineering services. With an established reputation in the marketing and support of various marine equipment, Allied had secured business in excess of $450M for its principals. H(2)Omaxx utilizes proprietary next generation aeration technology to clean and separate oil and solids from water. It has been proven to be safe, effective, economical and an environmentally-friendly process. Independent test results have shown the H(2)0maxx technology will reduce the oil content in oil well produced water to less than 10 parts per million without the use of chemicals, filters or heat. Any statements contained herein that are not historical facts may be forward-looking statements. Forward-looking statements include statements regarding the intent, belief or current expectations of the Company, are based on certain assumptions, and involve known and unknown risks and uncertainties. Many factors could cause actual results to differ materially from those expressed or implied by the forward-looking statements. Information on the potential factors that could affect the Company's actual results of operations as well as other risks to the Company or its business may be further discussed in periodic reports and registration statements to be filed by the Company from time to time with the U.S. Securities and Exchange Commission. LITTLE FALLS, NJ - May 20, 2011 (Investorideas.com Newswire) - mPhase Technologies, Inc. (OTC.BB:XDSL) reported today that it has been granted a United States patent for the unique concept of a smart battery design that could contain different battery chemistries within the same battery configuration or battery pack. The concepts behind the patent could be used to create a new type of reserve battery that would work in a wide range of applications, such as electronic devices and sensors used in very high and low temperature environments, where the temperature conditions may change over time, or in other environments where optimal battery performance is not easily achieved based on a single non optimized battery chemistry. The techniques described in the patent are based on the idea of creating individual cells within a battery system, where each cell could contain a custom combination of electrolyte and electrode materials. The patent describes how individual cells in a battery could be activated based on conditions such as the surrounding temperatures or other conditions such as power drain requirements, which can be used in determining which cells in the battery to activate. For example, if the outside temperature is sub freezing, cells containing a battery chemistry optimized for cold weather would be activated, or if the surrounding temperature became very hot, a different series of cells in the battery configuration could be activated. The use of this patented technique may be incorporated into future battery designs by battery vendors and other applications, and is being evaluated in future designs of the mPhase Smart NanoBattery. mPhase Smart NanoBattery design uses electrowetting and microfluidic techniques to selectively activate and control the power generated by the cells in the reserve battery. "This patent represents a major technical and business achievement in creating new approaches for designing batteries that can be used in applications requiring long shelf life, high availability and other programmable factors," said mPhase CEO Ron Durando. "This concept is a key component of not only something that can be implemented in our own products, but has applicability that could be incorporated by other vendors in the battery industry, as well as in other industries." mPhase Technologies is introducing a revolutionary Smart Surface technology enabled by breakthroughs in nanotechnology, MEMS processing and microfluidics. Our Smart Surface technology has potential applications within drug delivery systems, lab on a chip analytic systems, self cleaning systems, liquid and chemical sensor systems, and filtration systems. mPhase has pioneered its first Smart Surface enabled product, the mPhase Smart NanoBattery. As a cautionary note to investors, certain matters discussed in this press release may be forward looking statements within the meaning of the Private Securities Litigation Reform Act of 1995. Such matters involve risks and uncertainties that may cause actual results to differ materially, including the following: changes in economic conditions; general competitive factors; acceptance of the Company s products in the market; the Company s success in technology and product development; the Company s ability to execute its business model and strategic plans; and all the risks and related information described from time to time in the Company s SEC filings, including the financial statements and related information contained in the Company s SEC Filing. mPhase assumes no obligation to update the information in this release. Disclosure, Disclaimer/ XDSL is a paid advertising client on Investorideas.com and our technology portals. FT. WORTH, TX � May 20, 2011 (Investorideas.com renewable energy/green newswire) - EVCARCO, Inc. (OTCBB:EVCA) (OTCQB:EVCA) announced today that Scott O'Neal has resigned as COO and from the Board of Directors of the Company effective May 15, 2011. Mack Sanders, President and CEO of EVCARCO, remarked, "It is with considerable sadness that we must accept Scott's resignation. He was one of the founders of EVCARCO and has labored tirelessly to build our brand to the benefit of our shareholders. We look forward to his continued advice and guidance as an outside consultant." Scott O'Neal stated, "It is with a great deal of regret that I have resigned for personal reasons. EVCARCO has been my passion and I plan to make every effort to continue to assist the Company in the role of an unaffiliated consultant." , Inc. (OTCBB: CWET), Gamesa Corporacion Tecnologica, S.A. (GAM.MC) and Vestas Wind Systems (Copenhagen: VWS.CO ). Big deals are in the wind for the sector with news that Huaneng Renewables Corp, the wind power division of China Huaneng Group, is now moving forward with its estimated $1 Billion IPO and Gamesa made headlines with news that Caparo Energy placed a $2-Billion order for wind turbines. Gamesa recently announced that it has signed a framework agreement with power company Caparo Energy India Limited (CEIL) to deliver turbines with combined capacity of 2,000 MW over the next five years. The deal, the largest one of its kind ever signed in India and one of the biggest in the wind energy market anywhere in the world, encompasses the delivery, installation and start-up of Gamesa's G58-850 kW and G97-2.0 MW turbines between 2012 and 2016. The contract calls for Gamesa to supply Caparo Energy with about 150 MW of turbine capacity in 2012. With reference to Vestas Wind Systems A/S’ company announcement No. 22/2011 of 18 May 2011, Vestas has received a 200 MW order for 111 V90-1.8 MW turbines from Enel Green Power North America, Inc., for the Caney River wind-energy project in Elk County, Kansas, USA. The contract includes delivery and commissioning along with a five-year service and maintenance agreement. Delivery is scheduled for the second half of 2011 and commissioning is expected in late 2011. ANNAPOLIS, MD - May 5, 2011 (InvestorIdeas.com Newswire) - Clean Wind Energy Tower, Inc. (OTCBB: CWET), a clean energy company developing Downdraft Towers, reports it has filed with the United States Patent & Trademark Office "A Petition to Make Special Under the Accelerated Examination Program," a patent application titled Atmospheric Energy Extraction Devices and Methods. The application covers the addition of specific external design components, physical structure and systems that both substantially enhances structural integrity of the tower and captures wind directly striking the external vertical surfaces of the downdraft tower from any direction, beyond those winds already induced into the internal tube of the tower, and also enhances slow moving air to create downburst winds, substantially increasing total power generation of a single tower unit. 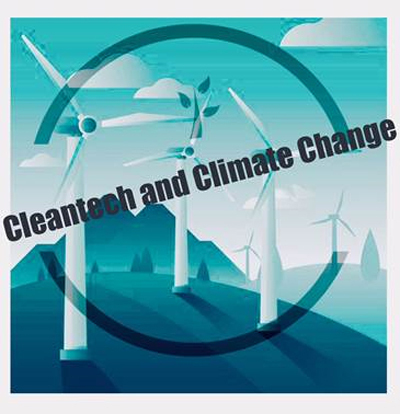 Clean Wind Energy Tower, Inc. (OTCBB: CWET) was established to commercialize a number of proven and validated technologies and construction systems into a single large downdraft tower structure that produces abundant inexpensive electricity. Investorideas.com was on the of the first investor sites covering investing in water and renewable energy stocks and has become a global go-to destination for investors researching the cleantech sector, with stock directories, company news, commentary from experts, research reports and industry resources and links. Investors can follow solar stocks commentary on our site with solar expert, J. Peter Lynch. Disclaimer/ Disclosure: The following news is part of the Clean Wind Energy Tower, Inc. (OTCBB: CWET) advertising program with Investorideas.com. Clean Wind Energy, Inc. compensates investorideas.com (one thousand five hundred per month, 100,000 144 shares) to be showcased as a renewable energy stock within its hub of sites and blogs.Our sites do not make recommendations. Nothing on our sites should be construed as an offer or solicitation to buy or sell products or securities. We attempt to research thoroughly, but we offer no guarantees as to the accuracy of information presented. All Information relating to featured companies is sourced from public documents and/ or the company and its management and is not the opinion of Investorideas.com. Point Roberts , South Salem, New York – May 16, 2011 www.Investorideas.com, a leader in cleantech stock research, releases a new solar stocks review from contributor, J. Peter Lynch for May 16th. At this time the general market continues to stay in a higher risk zone. This does not mean that you cannot make money but that most of the money has usually been made at this stage. However, it is not uncommon for the market to stay in a higher risk zone for many months. As a result, an investor has to be more cautious and take some more defensive actions. For example, sell stocks in your portfolio that are showing weakening relative strength to the market, tighten up your stop loss sell points and if you are more sophisticated, buy protective puts to hedge yourself. However, the market has been climbing a "wall of worry" for a long time now, volatility has dramatically increased and the market has moved into its traditionally unfavorable season - May thru September approximately - additional reasons for caution. *What Buffet really means by "never lose money" is really to cut your losses short (minimize your losses) and let your winners run as long as they are technically strong (maximize your return). Most of the stock s in the solar sector have fallen further behind the general market and have continued to weaken. Below are the latest comments on the 3 stocks remaining in our Solar Portfolio and the number of shares of each stock still held in the portfolio. To date the portfolio is up approximately double the major industry averages 15% vs 7.25%. JKS (500 shares) - Stock has recently showed strength and has given a new short term buy signal at $28.50. Falling below $25.50 would generate at sell signal for the remaining ½ of the position. SOLR (1,000 shares) - Consistently the strongest solar stock and has given a short term buy signal at $11.50, it is the only stock in the portfolio that we have not sold any of our initial position of 1,000 shares. TSL (500 shares) - weakest of the group, a move to $25.50 generated a sell of ½ of our position. A further move down to $25.00 would generate a sell signal on the balance of this position. Looking at the table below you will see that both JKS and SOLR are the only major stocks that are significantly above both their 50 Day and 200 day moving averages**. With the exception of Sunpower Corp. (SPWRA) which received a recent offer for control of the company by the French oil company TOTAL. **Remember that the 50 day MA is a short term indicator of technical strength and the 200 day MA is a long term indicator of strength. The optimal position for a stock to be in is ABOVE both these moving averages. Fundamental Analysis - this is the analysis of the fundamental financial condition of the company to identify which stocks are stocks you may want to buy when the timing is right. This form of analysis will give you NO indication of the best time to buy the stock. Technical Analysis - this form of analysis will tell you "when" to buy a stock. It will do this by showing you (in chart format) the basic interaction of supply and demand and when the two change and shift which will indicate a time to buy or a time to sell. Disclaimer: The views and opinions expressed in the research published are those of the individual companies and writers and not necessarily those of Investorideas.com® or any of the industry sector portals. At the time of publication, writers may hold positions in the stocks or companies mentioned. Abu Dhabi - May 13, 2011 (Investorideas.com Newswire) - Close to 80 percent of the world's energy supply could be met by renewables by mid-century if backed by the right enabling public policies a new report shows. The findings, from over 120 researchers working with the Intergovernmental Panel on Climate Change (IPCC), also indicate that the rising penetration of renewable energies could lead to cumulative greenhouse gas savings equivalent to 220 to 560 Gigatonnes of carbon dioxide (GtC02eq) between 2010 and 2050. The upper end of the scenarios assessed, representing a cut of around a third in greenhouse gas emissions from business-as-usual projections, could assist in keeping concentrations of greenhouse gases at 450 parts per million. This could contribute towards a goal of holding the increase in global temperature below 2 degrees Celsius – an aim recognized in the United Nations Climate Convention's Cancun Agreements. The findings, launched today after being approved by member countries of the IPCC in Abu Dhabi, United Arab Emirates, are contained in a summary for policymakers of the Special Report on Renewable Energy Sources and Climate Change Mitigation (SRREN). The summary is a short version of a roughly a thousand page comprehensive assessment compiled by over 120 leading experts from all over the world for IPCC's Working Group III. With consistent climate and energy policy support, renewable energy sources can contribute substantially to human well-being by sustainably supplying energy and stabilizing the climate,. said Professor Ottmar Edenhofer, Co-Chair of Working Group III at the report launch. .However, the substantial increase of renewables is technically and politically very challenging. he added. Youba Sokona, Co-Chair of the Working Group III, said: .The potential role of renewable energy technologies in meeting the needs of the poor and in powering the sustainable growth of developing and developed economies can trigger sharply polarized views. This IPCC report has brought some much needed clarity to this debate in order to inform governments on the options and decisions that will needed if the world is to collectively realize a low carbon, far more resource efficient and equitable development path. Ramon Pichs, Co-Chair of the Working Group III, added: .The report shows that it is not the availability of the resource, but the public policies that will either expand or constrain renewable energy development over the coming decades. Developing countries have an important stake in this future—this is where most of the 1.4 billion people without access to electricity live yet also where some of the best conditions exist for renewable energy deployment. Also speaking at the launch, Rajendra Pachauri, Chairman of the IPCC, said: .The IPCC brought together the most relevant and best available information to provide the world with this scientific assessment of the potential of renewable energy sources to mitigate climate change. The Special Report can serve as a sound knowledge basis for policymakers to take on this major challenge of the 21st century. The report will feed into the broader work of the IPCC as it prepares its Fifth Assessment Report (AR5). The AR5 Synthesis Report is scheduled for finalization in September 2014. The SRREN, approved by government representatives from 194 nations, has reviewed the current penetration of six renewable energy technologies and their potential deployment over the coming decades. Over 160 existing scientific scenarios on the possible penetration of renewables by 2050, alongside environmental and social implications, have been reviewed with four analyzed in-depth. These four were chosen in order to represent the full range. Scenarios are used to explore possible future worlds, analyzing alternative pathways of socio-economic development and technological change. The researchers have also studied the challenges linked to how renewable energy can be integrated into existing and future energy systems including electricity grids and likely cost benefits from these developments. While the scenarios arrive at a range of estimates, the overall conclusions are that renewables will take an increasing slice of the energy market. The most optimistic of the four, in-depth scenarios projects renewable energy accounting for as much as 77 percent of the world's energy demand by 2050, amounting to about 314 of 407 Exajoules per year. As a comparison, 314 Exajoules is over three times the annual energy supply in the United States in 2005 which is also a similar level of supply on the Continent of Europe according to various government and independent sources. 77 percent is up from just under 13 percent of the total primary energy supply of around 490 Exajoules in 2008. Each of the scenarios is underpinned by a range of variables such as changes in energy efficiency, population growth and per capita consumption. These lead to varying levels of total primary energy supply in 2050, with the lowest of the four scenarios seeing renewable energy accounting for a share of 15 percent in 2050, based on a total primary energy supply of 749 Exajoules. While the report concludes that the proportion of renewable energy will likely increase even without enabling policies, past experience has shown that the largest increases come with concerted policy efforts. Though in some cases renewable energy technologies are already economically competitive, the production costs are currently often higher than market energy prices. However, if environmental impacts such as emissions of pollutants and greenhouse gases were monetized and included in energy prices, more renewable energy technologies may become economically attractive. For most of them, costs have declined over the last decades and the authors expect significant technical advancements and further cost reductions in the future, resulting in a greater potential for climate change mitigation. Public policies that recognize and reflect the wider economic, social and environmental benefits of renewable energies, including their potential to cut air pollution and improve public health, will be key for meeting the highest renewables deployment scenarios. Increasing the share of renewables requires additional short-term and long-term integration efforts. Studies clearly show that combining different variable renewable sources, and resources from larger geographical areas, will be beneficial in smoothing the variability and decreasing overall uncertainty for the power system. There is a need for advanced technologies to optimize the infrastructure capacity for renewables. Additionally, there is a need for balancing supply and demand, like advanced demand and supply forecasting and plant scheduling. What is unique about this assessment is that the IPCC allows us to draw on and bring together a broad spectrum of experts on each of the technologies reviewed in collaboration with scientists studying energy systems as a whole. It represents a systemic, broad, impartial and state of knowledge report on the present and future potential of a low carbon, more resource efficient energy path,. says Professor Edenhofer. Of the around 300 Gigawatts (GW) of new electricity generating capacity added globally between 2008 and 2009, 140 GW came from renewable energy. Despite global financial challenges, renewable energy capacity grew in 2009—wind by over 30 percent; hydropower by three percent; grid-connected photovoltaics by over 50 percent; geothermal by 4 percent and solar water/heating by over 20 percent. The annual productionof ethanol increased to 1.6 Exajoules (76 billion litres) and biodiesel by 0.6 Exajoules (17 billion litres) by the end of 2009. Meanwhile developing countries host more than 50 percent of current global renewable energy capacity. Most of the reviewed scenarios estimate that renewables will contribute more to a low carbon energy supply by 2050 than nuclear power or fossil fuels using carbon capture and storage (CCS). The technical potential of renewable energy technologies exceeds the current global energy demand by a considerable amount—globally and in respect of most regions of the world. Under the scenarios analyzed in-depth, less than 2.5 percent of the globally available technical potential for renewables is used—in other words over 97 percent is untapped underlining that availability of renewable source will not be a limiting factor. Accelerating the deployment of renewable energies will present new technological and institutional challenges, in particular integrating them into existing energy supply systems and end use sectors. According to the four scenarios analyzed in detail, the decadal global investments in the renewable power sector range from 1,360 to 5,100 billion US dollars to 2020 and 1,490 to 7,180 billion US dollars for the decade 2021 to 2030. For the lower values, the average yearly investments are smaller than the renewable power sector investments reported for 2009. A combination of targeted public policies allied to research and development investments could reduce fuel and financing costs leading to lower additional costs for renewable energy technologies. Public policymakers could draw on a range of existing experience in order to design and implement the most effective enabling policies--there is no one-size-fits-all policy for encouraging renewables. Bioenergy technologies can generate electricity, heat and fuels from a range of =feedstocks'. Most current bioenergy systems, including liquid biofuels, result in greenhouse gas emissions reductions, concludes the summary for policymakers. Others, such as advanced conversion systems, which for example convert woody wastes into liquid fuels, can deliver 80 percent to 90 percent emission reductions compared to fossil fuels. Bioenergy, mainly for traditional cooking and heating in developing countries, currently represents over 10 percent of global energy supply or ca. 50 Exajoules per year. While the share of bioenergy in the overall renewables mix is likely to decline over the coming decades, it could supply 100 to 300 Exajoules of energy by 2050, the expert review concludes. Direct Solar Energy technologies include photovoltaics and concentrating solar power (CSP). They can produce electricity, heat and light. Currently, direct solar contributes only a fraction of one percent to total global energy supply. Potential deployment scenarios range from a marginal role of direct solar energy in 2050 to one of the major sources of energy supply. The actual deployment will depend on continued innovation, cost reductions and supportive public policies. In the most ambitious climate stabilization scenarios solar primary energy supply by 2050 reaches up to 130 Exajoules per year, which can be attributed to a large extent to photovoltaic electricity generation. In some scenarios, its share in global electricity generation reaches up to a third by 2050, but in the majority of scenarios remains below one tenth. Geothermal Energy utilizes heat stored in the Earth's interior directly or to generate electricity, with currently about 0.7 Exajoule per year. By 2050, geothermal deployment could meet more than 3 percent of global electricity demand and about 5 percent of the global heat demand. Global geothermal technical potential is comparable to the global primary energy supply in 2008. However, Geothermal Energy does not reach the technical potential limit in any of the scenarios analyzed, with the deployment rate remaining below 5 percent for both the regional and global level. Hydropower projects encompass dam projects with reservoirs, run-of-river and in-stream projects and range from small to large scale. The installed capacity by the end of 2008 contributed 16 percent of worldwide electricity supply, making hydropower the largest renewable energy source in the electricity sector. According to long term scenarios, hydropower's share in global electricity supply may decrease to 10 to 14 percent. Despite absolute growth in hydropower supply, the expected energy demand growth and continuing electrification could result in a decreasing share. Ocean Energy technologies are diverse and use the kinetic, thermal, and chemical energy of seawater. Most are at the demonstration and pilot project phases. Due to its nascent stage of development, they are unlikely to significantly contribute to global energy supply before 2020. Ocean energy is currently only represented in very few scenarios. As shown by the review, projected deployments could result in energy delivery of up to 7 Exajoules per year by 2050. Wind Energy's primary application of relevance to climate change mitigation is to produce electricity from large wind turbines located on land or offshore. The wind power capacity installed by the end of 2009 met close to two percent of worldwide electricity demand. The review shows a high expansion rate in Europe, North America and, more recently, in China and India. A greater geographical distribution of deployment is likely to be needed to achieve the higher deployments indicated by the scenario literature. Under the demand projection of some scenarios global wind power share grows to more than 20 percent by 2050. 1. The Special Report on Renewable Energy Sources and Climate Change Mitigation (SRREN) assesses the potential contribution of renewable energy sources to climate change mitigation. Following the AR4, many governments as well as important actors in civil society and the private sector asked for more substantial information and broader coverage of all questions pertaining to the use of renewable energy. The 25th Plenary Session of the IPCC at Mauritius decided to hold a scoping meeting for a possible Special Report, Following the scoping meeting in Lübeck, Germany in January, 2008, IPCC Plenary in Budapest in April, 2008 decided to prepare an IPCC Special Report on Renewable Energy Sources and Climate Change Mitigation (SRREN) and agreed on its outline. The Summary for Policymakers of the SRREN was approved by the Eleventh Plenary Session of IPCC Working Group III in Abu Dhabi, United Arab Emirates, 5 - 8 May 2011 and was launched on 9 May. 2. The Intergovernmental Panel on Climate Change (IPCC) is the leading international body for the assessment of climate change. It was established by the United Nations Environment Programme (UNEP) and the World Meteorological Organization (WMO) in 1988 to review and assess the most recent scientific, technical and socio-economic information produced worldwide relevant to the understanding of climate change. It does not conduct any research nor does it monitor climate related data. The UN General Assembly endorsed the action by WMO and UNEP in jointly establishing the IPCC. 3. The IPCC Plenary is open to all member countries of the United Nations and WMO. Currently 194 countries are members of the IPCC. Governments participate in the review process and the Plenary Sessions, where main decisions about the IPCC work programme are taken and reports are accepted, adopted and approved. The IPCC Bureau Members, including the Chair, are elected during the Plenary Sessions. 4. The Working Group III (WGIII) =Mitigation of Climate Change' of the IPCC assesses all relevant options for mitigating climate change through limiting or preventing greenhouse gas emissions and enhancing activities that remove them from the atmosphere. WGIII analyses the costs, benefits and risks of the different approaches to mitigation, considering also the available domestic instruments and policy measures as well as international arrangements. The WGIII is co-chaired by Ottmar Edenhofer of the Potsdam Institute for Climate Impact Research, Germany, Ramon Pichs of the Centro de Investigaciones de la Economía Mundial, Cuba, and Youba Sokona (Mali) of the Africa Climate Policy Center in Ethiopia.
. Disclaimer: this is not a solicitation to buy or sell stocks, or an endorsement for any company.